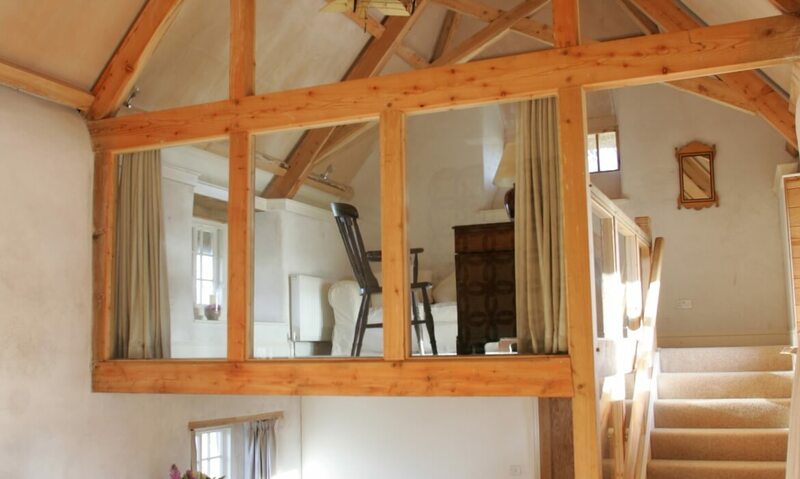 This building was created from the footprint of two perpendicular barn plinths to create ancillary accommodation for the main farmhouse. 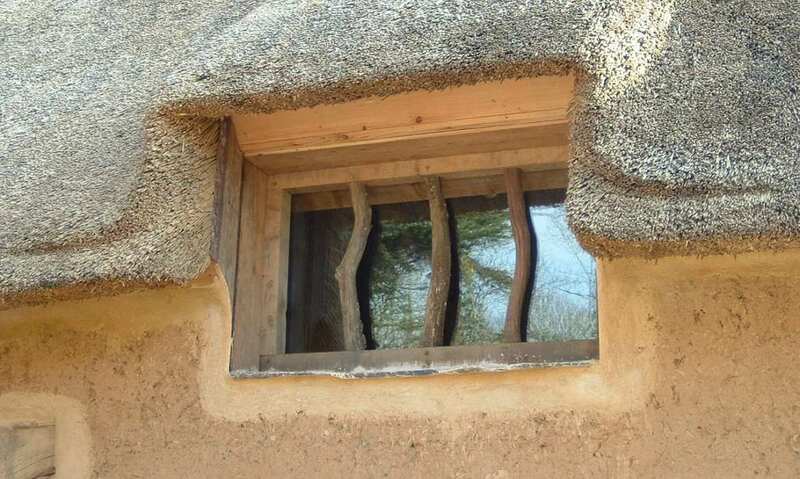 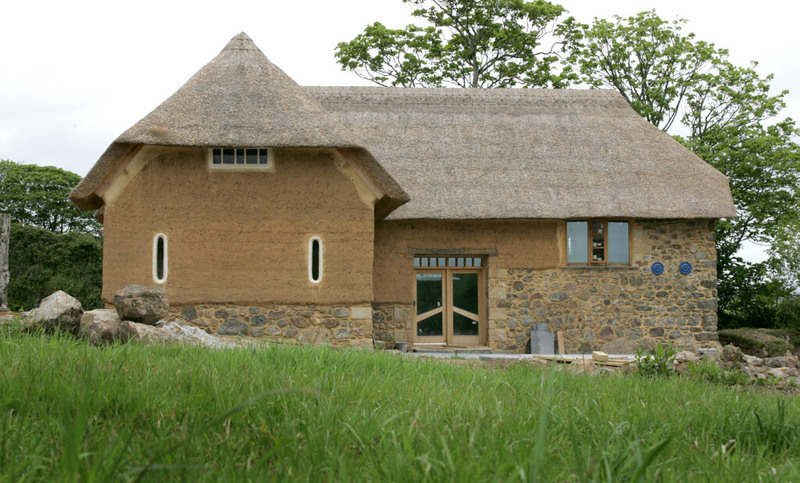 The building used vast quantities of materials sourced from the farm, including earth for the cob walls, a stag oak and local stone. 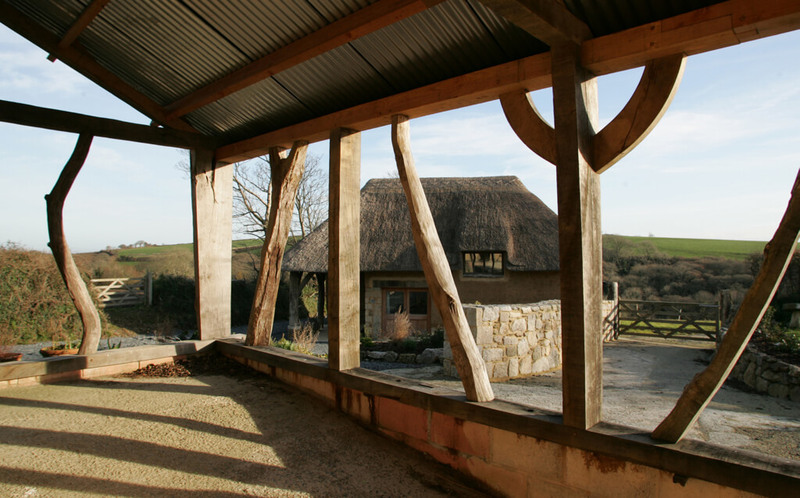 The building uses seven different native grown woods including pear, chestnut, oak, larch, ash, Douglas fir and elm.